Agriculture is a major occupation of our country and it largely contributes to our GDP. Hence, it is important that our farmers use the best quality product to produce both qualitative and quantitative yield. 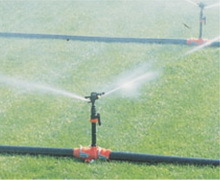 Our farmers need technologically driven piping systems connected with Sprinkler Irrigation System and micro Irrigation System to irrigate their fields. Further, they need good quality fertilizer Spray-Pump to protect their crops and need quality material handling system and unbreakable Ghamela to store and transport their produce. Last but not the least, every home needs beautifully moulded household product and furniture to enrich their daily lives. © Signet Group. All rights reserved.